It’s sad but true: our bodies naturally age with time. One such effect of aging is collagen loss, which leads to loose skin, wrinkles, and reduced elasticity. However, there are some steps you can take that will allow you to keep skin looking young and fresh. In today’s blog post, we’ll explore your options and make a case for why you should consider giving our new Vital C hydrating facial oil a try! Why do we Lose Collagen? Even though collagen is key to young looking skin, it is also important for bone strength, teeth, tendons, and internal organs. As we mentioned above, age will slowly reduce the amount of collagen found in the body, but that isn’t the only cause of collagen loss. Excessive UV exposure and a diet low in vitamin C and other nutrients will speed up collagen loss as well. Additionally, UV radiation breaks down collagen in the skin and causes wrinkles. A poor diet that does not give the body what it needs to effectively produce the proteins necessary to create collagen will also age you. As mentioned above, collagen is a necessary protein that keeps the body in working order. Collagen synthesis is the body’s process of producing collagen, and vitamin C is necessary for that process. In essence, your body utilizes vitamin C to produce more collagen. This helps to strengthen joints, improve teeth, and keep your skin looking young. How important is collagen for our bodies? Excessive collagen loss is a symptom of the disease known as “scurvy.” This isn’t a common problem anymore in the United States, but it is a clear reminder that we need collagen to survive. What is BV-OSC and how does it Work? Now, it is pretty clear that the body needs vitamin C in order to build more collagen. BV-OSC is an active form of vitamin C and it improves collagen synthesis up to 50% better than traditional vitamin C alone. This is because BV-OSC is a concentrated form of the component of vitamin C that promotes collagen synthesis, and it is more stable than plain vitamin C. BV-OSC’s stability and oil solubility makes it a more reliable skin care product. Better yet, BV-OSC is gentler on the skin than ascorbic acid, another chemical used to encourage collagen synthesis, and it is full of antioxidants. Clearly BV-OSC is a superior ingredient when it comes to collagen synthesis. 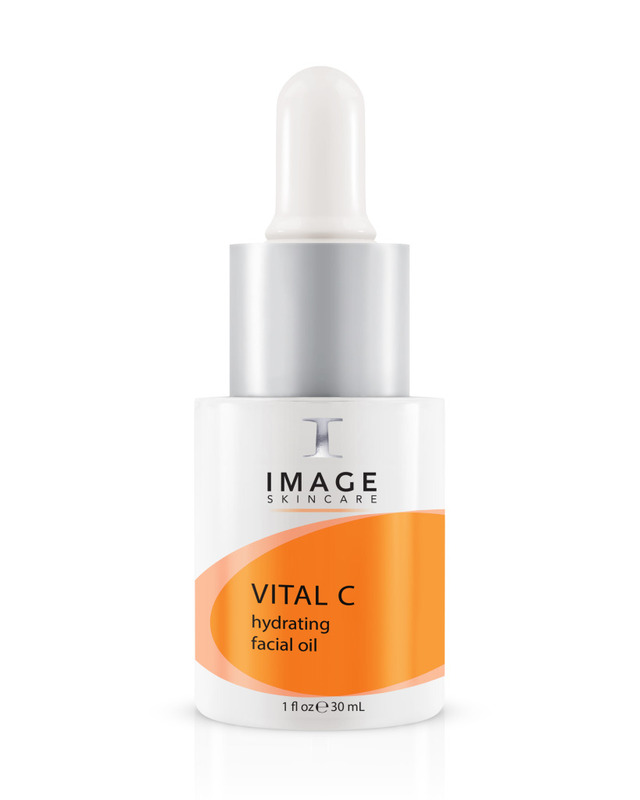 Our Vital C hydrating facial oil is a brand new product unveiled at our recent Worldwide Launch Parties. It is a lightweight oil that will hydrate, nourish, and soothe dehydrated skin. It is also perfect for those with sensitive skin. It rejuvenates aging skin and brings back radiance. It also nourishes with anti-inflammatory botanicals. As always with IMAGE products, it is paraben and mineral oil free. Our Vital C hydrating facial oil should only be used externally. If you are interesting in the Vital C hydrating facial oil or any of the other products made to help you “Age Later,” you can call us at 800 796-SKIN (7546), send us a message, or search for a provider near you. Our products are all natural and are formulated to help with a variety of skin problems and conditions. Contact us today to see what we can do to help your achieve the look you want.